A very talented Australian artist CJ Hendry seems to only have an Instagram account - so only way to connect. 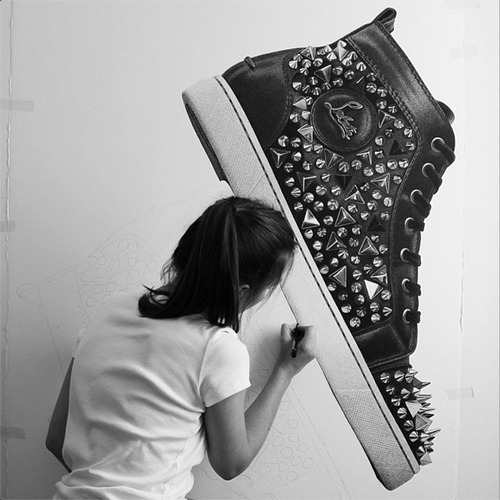 Her work is incredible, using only paper and a pen. Creating magnificent, photo-realistic black-and-white images in large format. Her subjects are generally high-end fashion objects, such as a Hermes scarf or a Louis Vuitton horse head, but they can also be other inanimate objects including sculls and guns.